This is primarily because the Islamic State is weakening. In Iraq, it now holds less than 10 percent of the territory it controlled at its peak. The fight against IS acted as a lid on Iraq’s multiple fault lines: literally every actor involved in the country — domestic, regional, international — shares an interest in opposing it. The group’s weakening will thus inevitably lead to the re-emergence of these fractures, exposing Canadian troops deployed there. As witnessed by ongoing skirmishes around the disputed city of Kirkuk, there is rising friction between the Baghdad government and Kurds who seek independence for their northern region. 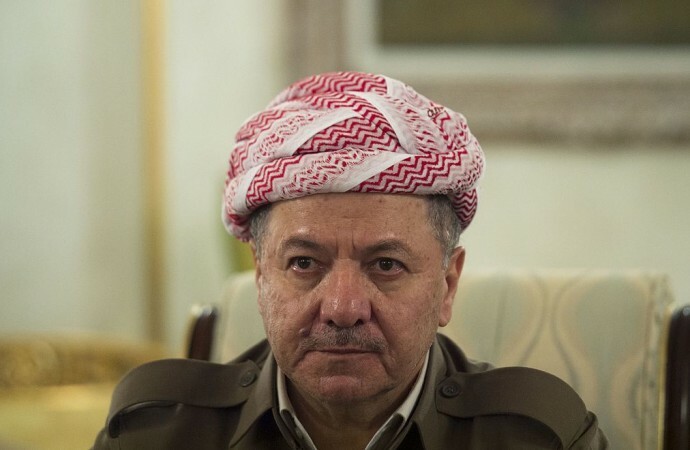 There are mounting tensions among Kurdish factions, causing some to draw parallels with the 1990s, an era marked by civil war in northern Iraq. Now that pro-Iran Shia militias, de facto partners in fighting IS, will turn to new pursuits, what would happen if US–Iran relations further deteriorate, as is possible under the Trump administration? The prospect of these experienced militias turning their weapons against coalition forces could represent a growing threat. These dynamics, which were entirely predictable, confront Ottawa with difficult choices. Since 2014, Canada has aligned itself with specific Kurdish factions against others; with the Shia-dominated government in Baghdad against Sunnis; and with both Kurds and Baghdad as they prepare to confront each other. Until recently, these tensions were manageable, but as IS continues to weaken, they will be increasingly costly. What should Ottawa do? Canada’s overarching interest is in the establishment of a stable, united, and democratic Iraq. Yet supporting Kurds means backing a sub-state actor seeking independence, going against the goal of a united Iraq. This is an inherent tension in Canada’s policy: its actions, and those of its allies, buy short-term gains by supporting a reliable fighting partner at the expense of the long-term pain of supporting the fragmentation of Iraq. It is in Canada’s interest to maintain a presence in northern Iraq, notably to develop trade with the Kurdish region. But Canada’s long-term interests reside more in Baghdad than Erbil, the Kurdish capital. As Ottawa re-evaluates its commitment to the fight against IS, it should cautiously decrease its support for Kurds and tilt its modest investment of resources towards Baghdad. This would be consistent with Canada’s diplomatic and economic interests. Democratic progress in Iraq is far from perfect, but the country has made important strides in recent years. A strong Iraq will regain its place as a key regional player and provide a strong check against the projection of Iranian power westward. Engagement would also better position Canada to pursue trade opportunities in Iraq, which has some of the largest hydrocarbon reserves in the world. While recognizing its limited influence, Canada could, alongside its allies, make its assistance conditional on progress on human rights and democratic norms. In doing so, Canada could steer its assistance towards greater support for institutional capacity-building (including of security forces), reconstruction and economic development, the fostering of pluralism, and political reconciliation — which, importantly, is the only path to ultimately defeating the Islamic State. This article was first published in The Globe and Mail on 31 October 2017.